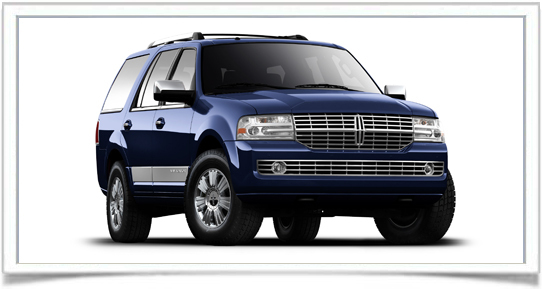 What’s better than enjoying the luxurious comfort and smooth ride of a powerful, leather-clad SUV? Sharing it with family and friends, of course. After all, who doesn’t like to show off a little bit? If you’ve got it, flaunt it, right? And there’s also the age-old cliché, “the more, the merrier.” In that case, the more room you have to seat people in your new rolling luxury palace, the more people can enjoy what you’ve spent your hard-earned money accumulating. Bragging rights don’t hurt either. However, in order to brag you probably don’t want a nice luxurious SUV that is going to break your wallet at the gas pump or be in the repair shop every other week. You want something reliable; you want something economical; and, you definitely want something spacious. You want to be able to tell your neighbor, “Hey, don’t worry about taking two vehicles on the ski trip, Bob. We can all fit in mine!” So, before you go pack your wooly hat and parka, let’s take a look at the best luxury SUVs with 3rd-row seating. Don’t look for better gas mileage with the LX, but you can definitely expect everything else. 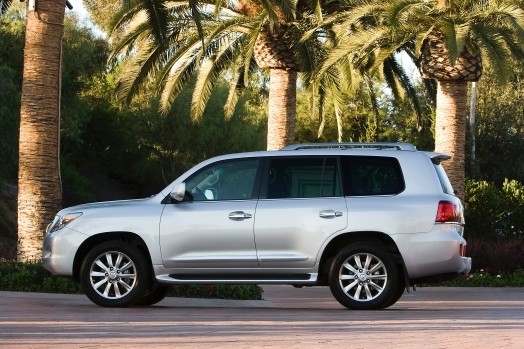 Power, with the 5.7L V8, 4WD, comfort, and the typical Lexus stylish looks all come standard with this model. As is the case with all Lexus vehicles, the options, bells, and whistles never end. Neither does the space. At nearly 200” long, you’ll get nearly 16 feet of space to fit the three rows of seats and rear storage capacity. Given the fact that only a few of those feet take up the engine compartment, the rest is left to whatever you’d like to haul, store, or seat inside it. Lexus also boasts one of the most reliable brands in the industry. It’s a very good thing, too, because if the sticker price is near $80K, you can only imagine what the repair bills are like. The long-standing battle between Lincoln and Cadillac has now transferred to the realm of SUVs. It appears Lincoln is fairly close to dethroning Caddy as the premier luxury SUV as they have landed a couple of significant blows with the Navigator. While early-year Navigators were prone to electrical issues and suspension problems, the new models are very large step forward. With the 3.5L V6, the Navigator does not lack for power and still manages to pull 18/25mpg at the pump. The one drawback to the new versions has been the revamped body style. They’ve lowered the slope on the windshield which many tall drivers have found cumbersome at times. Luckily, the front seat moves in every direction but eject to compensate for the visibility issues. This probably isn’t what most people would consider “luxury” – until you drive it. 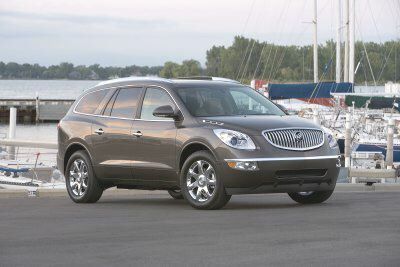 The Enclave is on par with several of the luxury line of SUVs in options, comfort and performance, only half the price. With a 3.6L V6, it has all the power of the big boys, with the extra room. Also, the list of options coming with the Enclave will make you think you paid twice the amount of the sticker, or at least you should have. OnStar, XM Satellite radio, and 17/24mpg (city/highway) make this SUV a must-have if you’re looking for luxury without the dollar signs. To see a list of other 7 passenger SUVs, see 7 passenger vehicles car list.